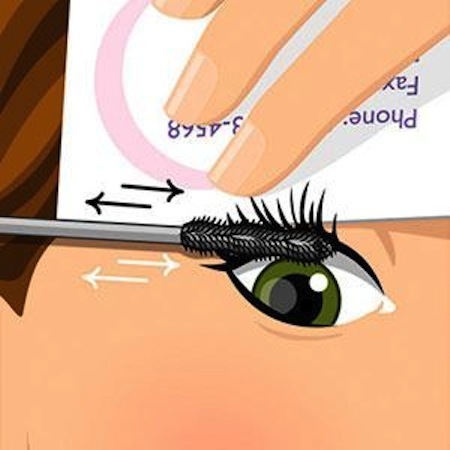 When applying mascara, hold a business card behind your lashes and apply it in a back and forth motion starting at the roots. You can really put it on this way, coating every lash fast while avoiding the dreaded mascara on your perfectly applied eyeshadow. Or, even better, check out these No Smudge Mascara & Eyeshadow Shields by Flutterby. They have great reviews on Amazon! 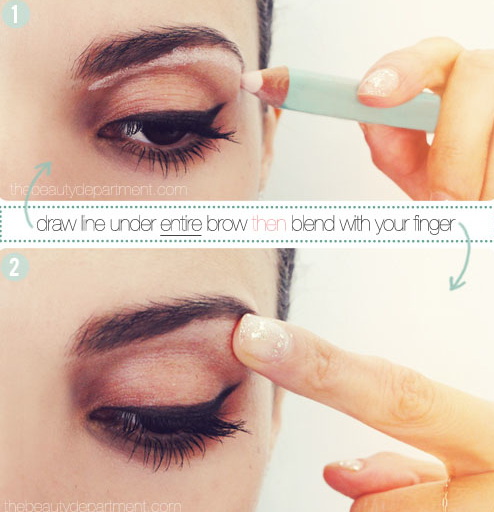 Sweep a light pink matte pencil across the entire length of your brow bone to create the illusion of a higher arch, and then blend, blend, blend! It should not be detectable. You can read more about this tip here. 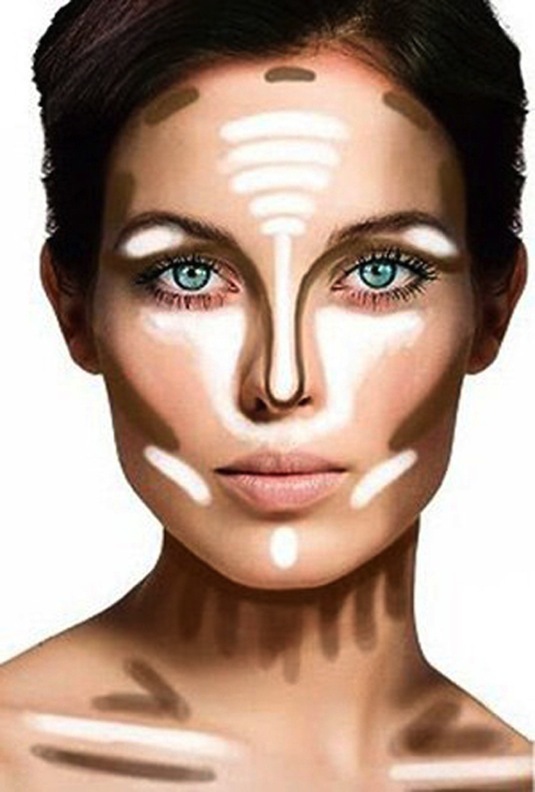 When applied right, contouring can define your cheekbones and jaw line, reduce the look of a double chin, minimize a larger nose, and lift sagging eyes. It’s basically using makeup to highlight and accentuate your features. This is especially important for photos, as the camera tends to pick up shadows and highlights better than the naked eye. 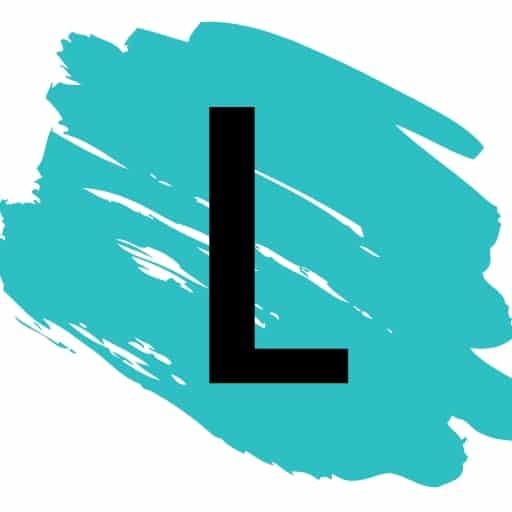 There are actual contouring and highlighting kits (this one has the best reviews) made just for this, but you can also use a bronzer or powder that is a few shades darker than your skin, and a foundation that is a few shades lighter for highlighting. For the most part, your t-zone and under eye area is where you want to highlight, and the outer portion of your face, underneath your cheekbones, and your neck is where you want to define with a darker color. Keep in mind, blending is key for a natural look! This may take some practice at first.